Edify School offers the C.B.S.E. Curriculum at Middle School, Secondary School and Sr. Secondary levels. Edify’s one-of-a-kind approach to pedagogy and instructional design, ensures that the C.B.S.E. curriculum is implemented to the fullest possible extent to meet the goals it has set for itself. Edify’s learner-centered pedagogy echoes C.B.S.E.’s student centered approach in all its scope. Our pedagogical approach and teaching strategies are spear-headed by our extensively trained teachers who regularly attend both C.B.S.E. and in-house workshops to further their professional development. This love for life-long learning is passed on to our students who grow to be passionate about their choice of subjects, and develop a deep curiosity for the world around them. Academic excellence is highly valued in Edify, with plenty of emphasis on opportunities for hands-on and experiential learning. World Class amenities, Learning Laboratories, Field Trips to places relevant to the subject area being explored and Creative Learning Projects all help bring the curriculum to life in Edify. Proud to announce that MDN Edify Education Pvt Ltd has won the “Global Platinum Award 2016” in Hong Kong under “Most Innovative Brand” Category. 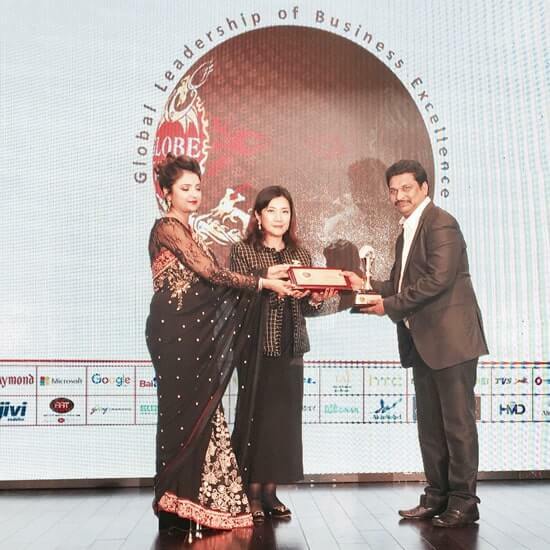 Our Director, Mr Sanjay Kumar Agarwal receiving the Prestigious Award on 11 December 2016. This Award is judged on Companies from 14-15 Sectors across Manufacturing, Retail, Service Segments etc and finally Edify was declared Winner. It is happening at MDN Edify Education Pvt. Ltd. Here is the moment of pride and honour for all of us. Yes, MDN Edify bags the most coveted award of “MOST EMERGING K – 12 INSTITUTE OF THE YEAR” for Edify School in view of continuous innovation, systems, people development, IT facilities and curriculum. 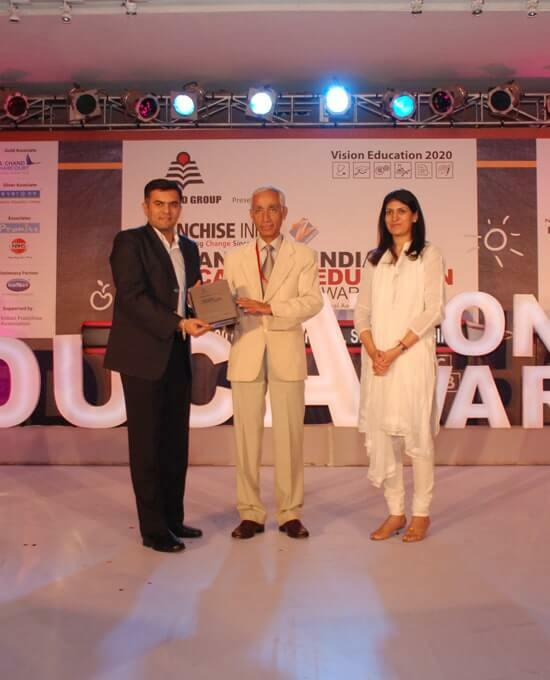 The award was presented to us on April 22, 2011 at Delhi, during Indian Education Congress 2011, country’s biggest forum for business of education, presented by S. Chand group, organised by Franchise India and audited by KPMG. Indian Education Congress is an initiative of S. Chand group that recognises the need to think more boldly and broadly on how to strengthen and expand the existing initiatives in education. 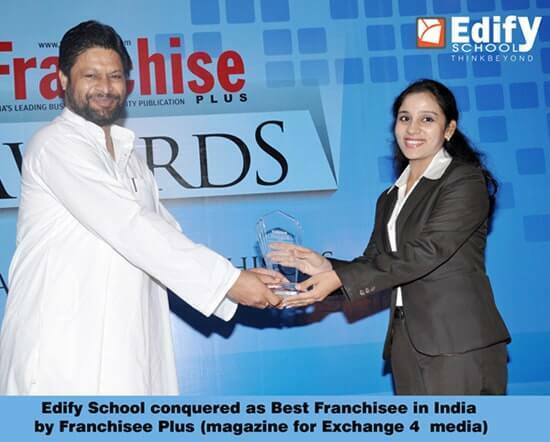 And, MDN Edify caught their eyes and topped the list of all nominees to bag this award. The award was presented amongst who-is-who of education in India comprising of educational institutes of repute, academicians, educationalists, teachers and representatives from various sectors in education. 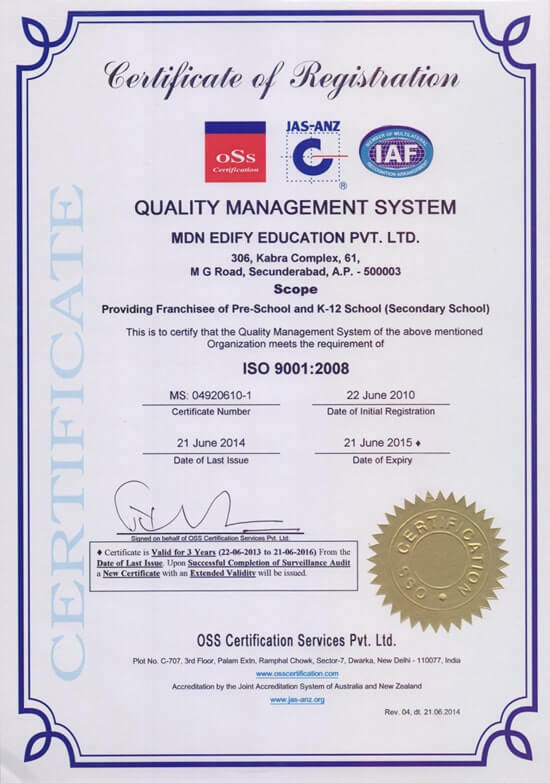 MDN Edify Education (P)Ltd is an initiative of DRS Group which is a renowned business house with well diversified interests and a combined turnover in excess of Rs 500 crore.The Group has further diversified into the education sector with the setting up of DRS International School, DRS Kids, Edify Kids, Edify School and Edify Para Education.Establishment of DRS International School at Hyderabad in 2003 and a chain of over 100 preschools across India under the brand name DRS Kids and Edify Kids have further strengthened the company’s presence in the educational sphere.Taking it further, in 2010, MDN Edify Education also opened its door to world class education through its initiative -Edify Schools (K -12 schools). Following the franchise model, Edify Schools promise to bring international standard education accessible and affordable to all children. Currently, there are six schools located at Nagpur, Bengaluru, Ranipet (TN), Amravati,Chandigarh, and Hyderabad. With the motto “Leading Young India”,MDN Edify Education has pledged to provide the finest quality of education and create a society of progressive thinking individuals. Edify Schools was primarily the brain-child of eminent educationists across the country.The board of directors includes people of repute like T N Seshan, Venkatpathy Raju, S P Jain and G Vishwanathan. These Schools follow CBSE syllabus with global orientation and focus on the skill-based evaluation process which include and assess the child’s ability to conceptualise, process information and apply the same in a creative manner.Edify Schools run on the 3-C philosophy of Character, Competence and Content. All the campuses are well-equipped with temperature controlled classrooms, and all other facilities like swimming pool,skating ring, student performance tracking software,smart boards, fully equipped library etc,which help in the development of mind,body and soul. The Group has aggressive expansion plans in the next few years. It is targeting to have 50 K-12 schools, 250 pre-schools in India and international presence in the next four years.Edify Schools alone is also looking forward to private investment of Rs 500 crore in the next five years. The company is mulling to spend the major chunk of its total investment in the smaller cities. By opening more schools in smaller cities where there are not many schools providing quality education along with overall development of the child,the group hopes to make quality education reachable across India. The project, they believe, is feasible because of low setup and operational cost in these areas.Furthermore, the Group’s vision is to foster a society of individuals capable of thinking,creating and initiating a positive change in the social, economic and cultural fabric; to impact the global community through knowledge, understanding and attitude.Through their various initiatives across the education sector, Edify Education is looking to nurture individual talents and abilities empowering all children and help them develop into creative, disciplined, dynamic leaders of the future. It is their firm belief that these children will be active global citizens contributing richly to the nation and the world.